George Edwin King was born in Saint John, New Brunswick, on October 8, 1839. He was the son of George King and Mary Ann Fowler. He attended Wesleyan University in Connecticut, obtaining a B.A. in 1859 and an M.A. three years later. After articling in the office of Robert Leonard Hazen in Saint John, he was called to the bar of New Brunswick in 1865 and established his practice in his native city. Soon after, he entered politics and was elected to the House of Assembly of New Brunswick in 1867. He served as premier of the province for a short time, from 1870 to 1871, when he was only 30, and again from 1872 to 1878, serving also as attorney general from 1870 to 1878. Two years later, he was appointed to the Supreme Court of New Brunswick. In 1892 and 1893 he also taught law at the University of New Brunswick. 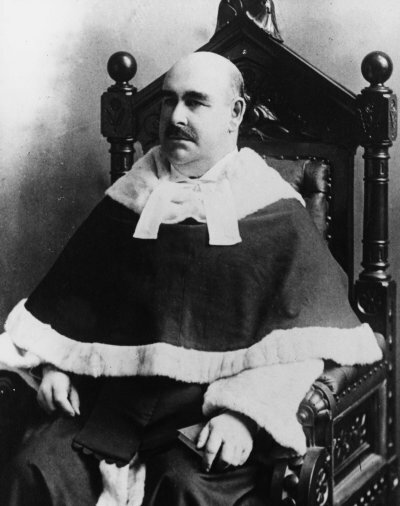 He was appointed to the Supreme Court of Canada on September 21, 1893 and served on the Court for seven years. Justice King died on May 8, 1901, at the age of 61.